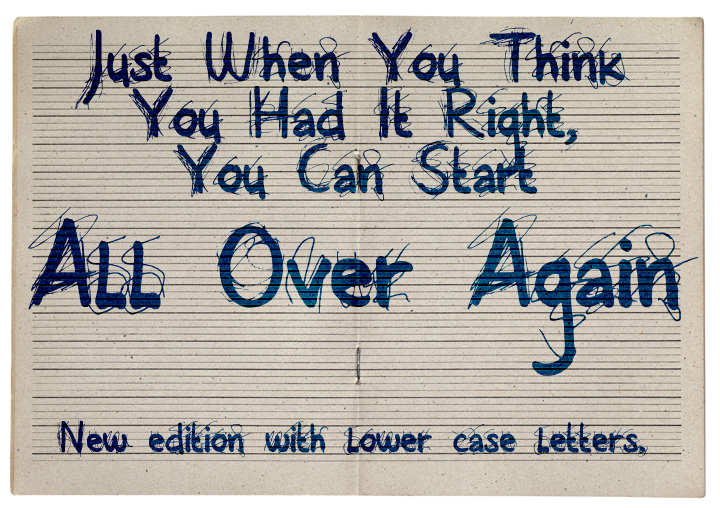 Trademark notice: DK All Over Again is a trademark of David Kerkhoff. Description: Copyright (c) 2010 by David Kerkhoff. All rights reserved. This is the demo, bare bones, version of All Over Again. It is free for PERSONAL USE only. If you are going to use it commercially, please buy the full version - visit my site www.hanodedfonts.com for instructions or read the FAQ file. 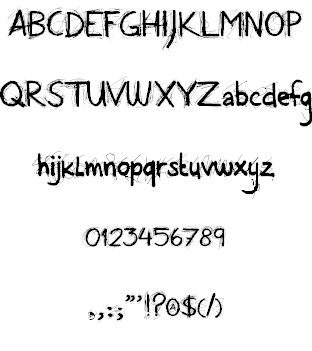 You CANNOT use this font in games, apps, or software. If you want a license for that, visit my site www.hanodedfonts.com for instructions. Do read the FAQ file inside the font zip!